The 80-year-old actor, activist and fitness guru, Jane Fonda, is releasing her new film and opened up about the logistics of kissing scenes. Kevin McCarthy from Fox 5 DC interviewed Fonda and her co-stars, Candice Bergen, Diane Keaton and Mary Steenburgen about their appearances in Book Club. The movie follows the group of women as they make changes to their lives after they read the controversial Fifty Shades of Grey books. Steenburgen said the film is personal and portrays a critical issue: "People don't put adult women in films and give them a life other than somebody's weird aunt." According to Fonda, she likes kissing but was worried about the camera angle while filming the scenes. "You don't want a lot of loose skin to be hanging when you" lock lips, she added. She also revealed that her breasts are hard and deformed due to breast cancer treatment she received in 2010. Fonda underwent a lumpectomy soon after her diagnosis and has since recovered. In the past, she also opened up about her other health problems, including her recovery from bulimia nearly four decades ago. She was in her forties when she battled the eating disorder, and admitted that recovery from such an ordeal is harder when someone is advanced in age. "It was in my 40s, and if you suffer from bulimia, the older you get, the worse it gets. It takes longer to recover from a bout." Jane Fonda, Harper's Bazaar, August 4, 2018. As reported by Daily Mail, Book Club will be released next Friday. 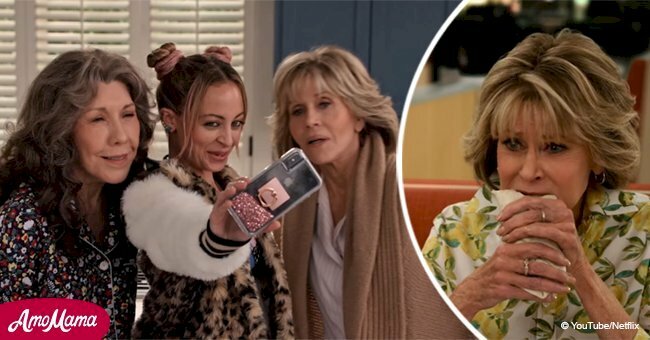 Fans of Fonda can also watch her award-winning Netflix series, Grace and Frankie. She portrays the title role of Grace Hanson alongside co-star Lily Tomlin in the part of Frankie Bergstein. Fonda also produced 52 of the 55 episodes. 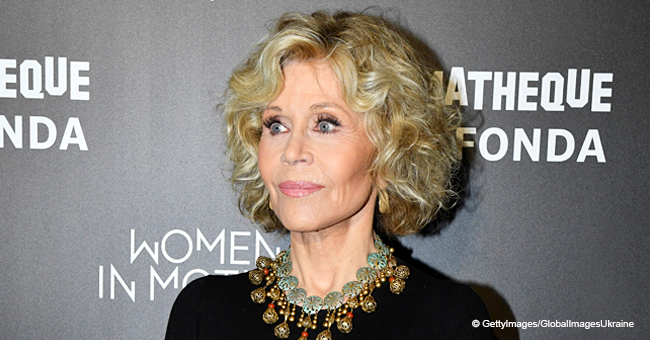 Jane Fonda Will Take to the Grave Her Deepest Regrets about the Infamous 'Hanoi Jane' Photo.